A successful event requires good food—that’s a fact! Here at D's Catering, we offer reliable and efficient catering services to make event planning an easier process for you. Our menu is filled with exquisite home-style Southern food that you and your guests will definitely love. We can also cater to people with specific dietary needs. Talk to our catering team today, and let’s decide on food options for your events! 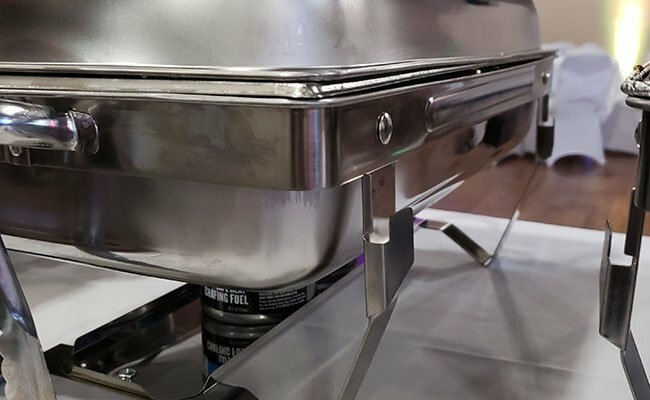 Equipped with new, state-of-the-art commercial equipment designed for catering purposes, we at D's Catering are able to cook batches of Southern food suitable for both small and large events. Providing fresh, high-quality, and delicious food is our priority. To do that, we run a clean and organized kitchen in a building that is regulated by the state of Iowa and meets state Health Department requirements. We also deliver unparalleled catering services that guarantee your satisfaction. You can never go wrong with classic Southern food. At D's Catering, we are always ready to share our savory creations with you and your guests. Get in touch with us today to learn more about our catering services or to inquire about our catering menu. We also offer senior, military, and veteran discounts, so don’t forget to ask about that as well!